If you missed the Friday, March 9 issue of the local Santa Barbara’s VOICE Magazine (AKA CASA Magazine), please check it out! We’re grateful to the Voice magazine and its staff for recognizing The Academy, Rinaldo, and the work we continue to do on behalf of the community. It is our hope that the article inspires the local community to embrace and embody the Academy’s mantra and purpose – to think globally and act locally. The article featured an interview with Rinaldo in which he discussed our work and goals: to close the Diablo Canyon nuclear power plant; to replace nuclear and fossil fuels with locally produced, sustainable energy sources; to promote and establish the Santa Barbara Microgrid; to establish 100% renewable energy in California (The Clean Energy Moonshot); and to emphasize sustainability and resiliency in the rebuilding of Montecito. Climate change is happening in our backyard, and it is here to stay unless we commit ourselves to challenging the status quo through individual and collective actions. 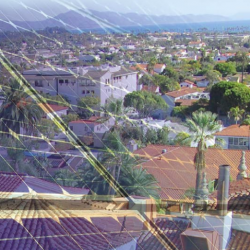 We at the Academy will work to remain at the forefront of the conversation on how Santa Barbara and the TriCounty region can make substantive, environmentally positive changes that can improve our community’s energy resiliency. We will continue to engage local business leaders, elected officials, concerned citizens and stakeholders in discussing the ways we can improve our community and bring energy security to the Santa Barbara area.